A joint venture between a private developer the JBG companies and the Washington metro area transit authority (WMATA) is the smart location of Twin brook station located in Baltimore, Maryland. Transforming twenty six (26) acres of asphalt coated commuter parking lots into a mixed use green community. This smart growth transit orientated development (TOD) is perfectly located adjacent to the fourteen (14) mile Baltimore red line proposed mass transit light rail. This two billion dollar green infrastructure project has recently received federal preliminary approval and funding to commence in 2014. This 2.2 million square foot green mixed use community upon completion will feature 325,000 square feet of class A office space, 220,000 square feet of prime retail space, 1,596 green condos and green apartment rental homes. Twin brook station is located and designed to reduce current traffic congestion and auto mobile dependency by making public light rail the focal point of this sustainable community. Currently over 1,000 busses provide transportation to the area. Designed as a walkable community with tree lined streets, open green spaces and urban parks. With a myriad of options available to suite the sustainable lifestyle along the proposed red line light rail. Phase one of twin brook station, the Alaire opened in 2010. Featuring 279 luxury green apartment homes, 16,500 square feet of retail space and a six story garage with 336 parking spaces including 90 parking spaces located underground. The Alaire has several unique sustainable features including a green roof utilizing recycled soda bottles. Solar powered trash compactors, preferred parking for hybrid vehicles, and energy star appliances. Twin brook station is one of only a hand full of pilot Leed certified neighborhoods located in the United States and is Washington’s first Leed gold certified neighborhood, receiving sixty six (66) points out of a possible one hundred and six points (106) points. Over 80% of the sustainable buildings in the twin brook station development will receive Leed green certification. Additional sustainable construction features includes energy and water efficient design principals. Organic gardening, waste management and recycling programs integrated through out the multi year sustainable construction process. Twin brook station has received numerous accolades and awards over the years including 2003 Washington smart growth alliance award, 2004 congress for new urbanism chapter award, 2010 Delta associates best mid Atlantic TOD development, and 2011 Maryland governor’s smart green and growing award. Twin brook station is being developed by the JBG companies. With ten(10) billion dollars in real estate assets under management is a privately held real estate development company specializing in hotels, office space, residential and commercial space. JBG develops, owns and invests in the Washington metropolitan area. Bethesda, Maryland is one of the most affluent cities in the entire nation, located north west of the nations capitol, Washington D. C. City leaders have implemented a twenty year plan to turn the entire 400 acre downtown, Maryland into a green community. 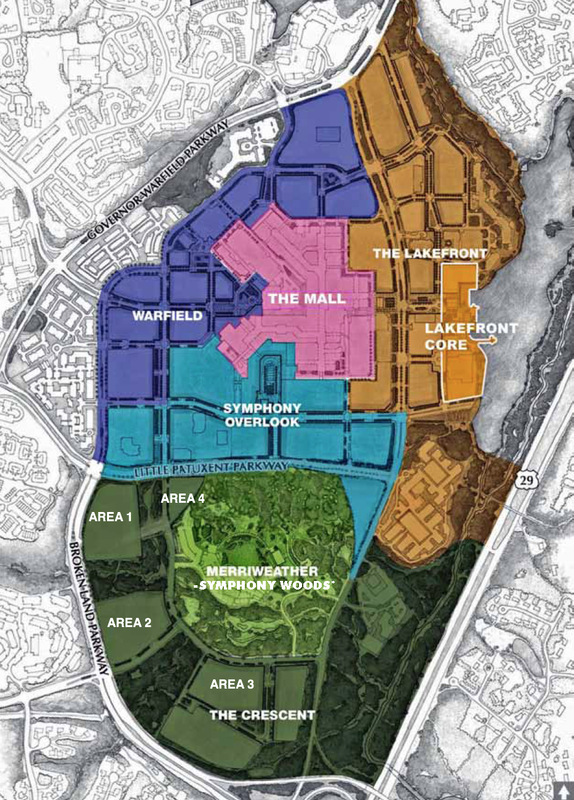 Dividing the downtown area into six distinct separate districts: Warfield, Lakefront core, Lakefront, the mall, Meriwether Symphony woods, and Crescent neighborhoods allowing for sustainable planning to obtain carbon neutral status in the near future. Two or three areas will be designated as high performance districts. Using green infrastructure to manage polluted storm water runoff from developed land, streets, parking lots, roof tops and other impermeable surfaces. Green infrastructure is a smart community design technique to replicate exactly how nature deals with rainwater runoff. Careful sustainable infrastructure planning uses natural vegetation and green space soils to manage the rain water runoff. Green roofs, permeable paving, rainwater harvesting, rain gardens are all design techniques to transform rainwater from a pollution into a valuable community resource. Designed to green the landscape, cool and clean the air reducing asthma and heat related diseases. Thereby avoiding the collection of storm water runoff into a system of underground pipes and sewers carried away as a pollution. Numerous Public/private transportation light rail lines all connected throughout the city. Incentives for Energy efficient construction. Parks, expanded civic green areas, protected community landmarks, public gathering places. Tree lined streets, urban tree scape, urban agriculture, vegetated walls and roofs. Walkable community and cyclist network. Innovative storm water management. improved water quality. In addition to the Maryland green downtown community. Maryland has five separate green communities operating under the pilot LEED green neighborhood certification. Aventine/crown farms, Decker walk in Baltimore, East Baltimore, Glenmont metro center in Silver spring and Twin brook commons in Rockville.